Journals by 5 and a Half. Plus, Field Notes memo books. I’d like to draw & write in these. I love these journals by 5 and a Half. I saw them on Design Crush, a great blog. My husband found out about these awesome notebooks and told me about them. 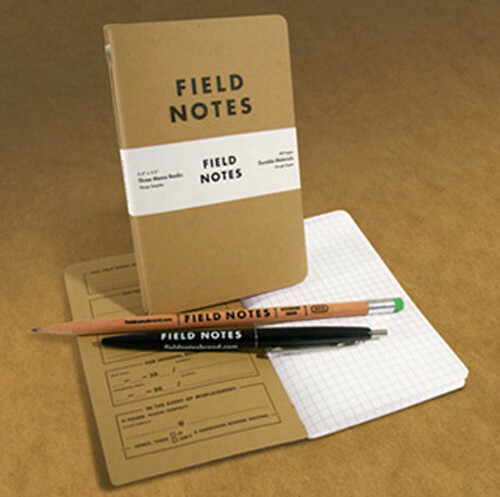 Field Notes, so classic, so cool, so useful! (speaking of cool notebooks that I want to fill up, tomorrow I’ll posting some designs I’ve been working on). Feature in Foam Magazine and my illustrated MJM Organic Cosmetic labels. The Principles of Uncertainty by Maira Kalman. Plus, My new patterns. 3 Responses to Journals by 5 and a Half. Plus, Field Notes memo books. I’d like to draw & write in these. I have these field notes, I love them! I ordered a dachshund shirt from Aaron Draper and he put a few in with my order. It makes my to-do list seem so much more interesting. Oh, I’m glad you commented! That’s great. I think I’ll have to order one for sure. What’s…who’s Aaron Draper? I looked him up but nothing about clothing came up….I’m curious now?! sorry, Draplin not Draper. If you go to links on the left, Draplin Design Co. , under Merch http://www.draplin.com/1998/01/ddc020_long_bre.html. I have a dachshund, so I had to get it.